Last year Threod Systems acquired new production area in our head-office premises. Positive changes in the production unit will bring the opportunity to improve the production environment and expand production capabilities. The manufacturing stream should become smoother and the previous spatial constraints should be solved. More importantly an increase in the testing capability on all levels of production will improve tremendously the production planning process and production time. The acquisition of a bigger warehouse storage impacts assembly time and improves cost efficiency. Big emphasis is made on investing in high-tech production machinery. “With these changes we achieve a more comfortable and safer working environment, improve overall production and development quality. 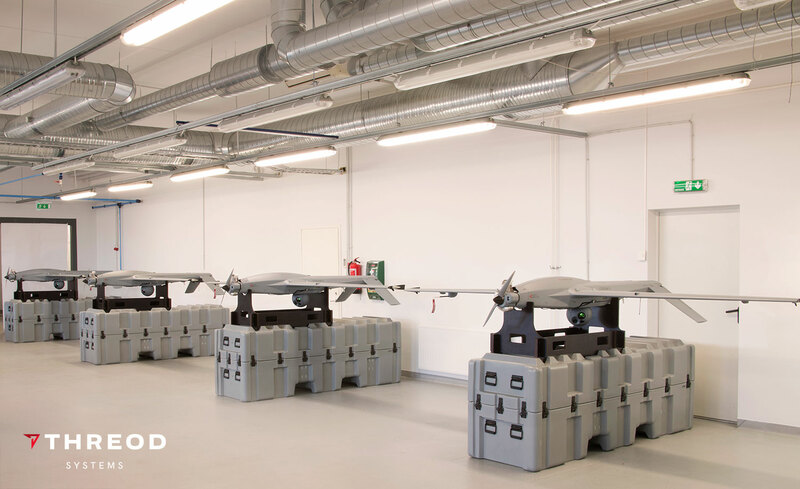 As some of the reconstruction processes are still in progress, we are eagerly awaiting the moment of moving to new premises and taking advantage of the opportunities that will open for us.” – says Kaupo Varik, Head of production at Threod Systems. Happy New Year and see you at IDEX 2019!